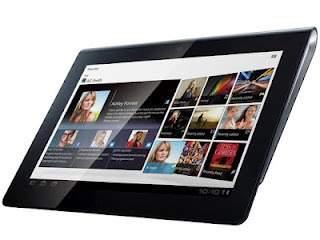 Sony has released the newest version of Android OS, Ice Cream Sandwich, It’s for the Tablet S before hits the rest of Xperia range in the past year (including the Neo ,Xperia Play and the arc amongst others). 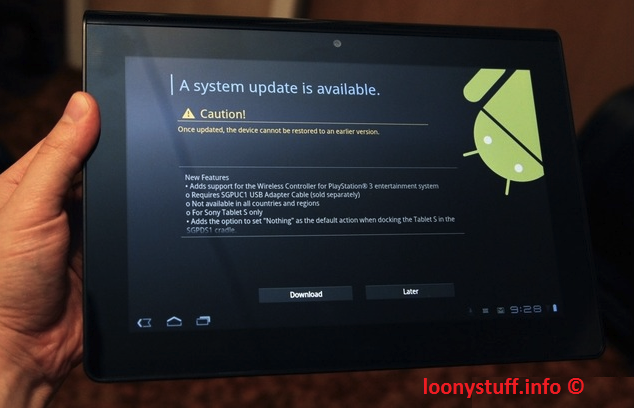 Sony Maya Wasserman said in a blog, “The next time you connect to Wi-Fi, the Sony Tablet S will asked to update the system, Then click OK to download ,within few minutes you will be ready to go Android 4.0. “This update brings single panorama photo mode and access to the SDcard directly on the tablet. plus, adds number of “small applications”, including the control to remove a lock-improved display. User will also face the introduction of Google Chrome, the browser instead of bog standard Android. Sony has not confirmed that Android 4.0 will arrive on Tablet P.